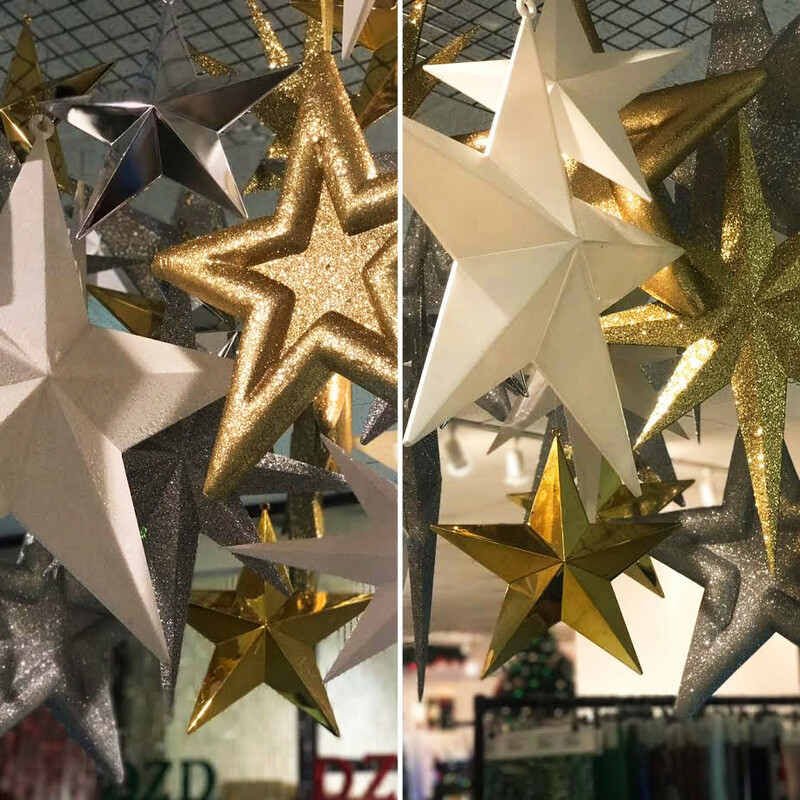 Christmas displays are starting to go up in the showroom and we're really excited! Prepping and planning has been done and now it's time to turn our designs into reality. One of the first creations is our Constellation display! 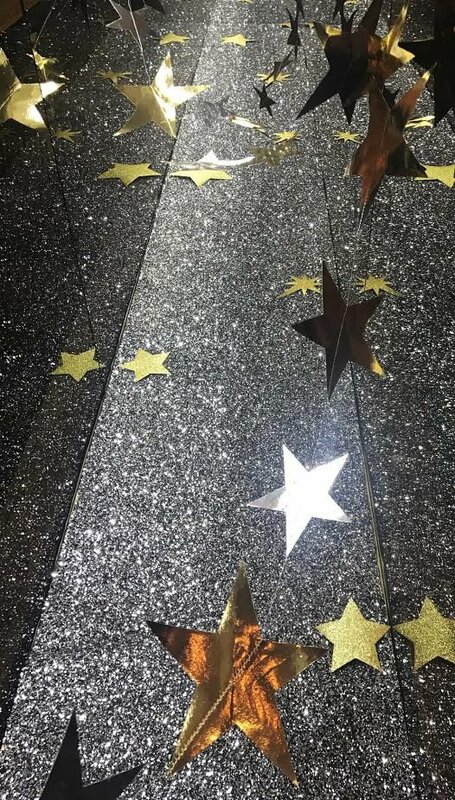 Taking inspiration from the cosmos and the ever growing trend for all things astronomical we have designed a twinkling display, by using various shapes and sizes in different finishes creating a shooting star installation. A graduated effect and the mix of solid and hollow stars ensure that the composition is as strong as can be. We have also chosen to focus our display around three colours; Gold, Silver and White, adding continuity whilst displaying the entire collection that we stock. The dynamic shape draws your eye across every star whilst evoking the sense of movement. 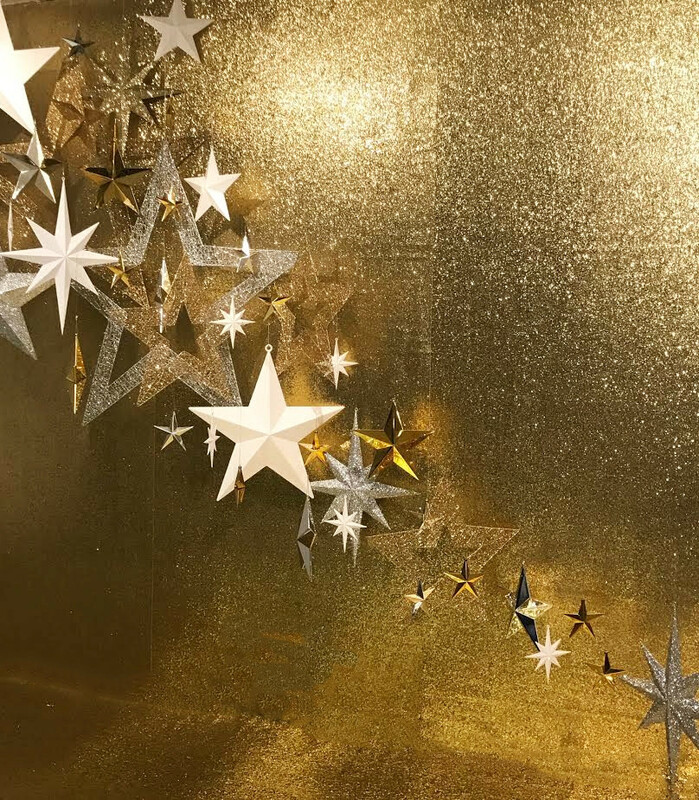 Each individual star is able to twist and turn on its own and by setting the piece against a solid gold glittered background makes each one really stand out. To carry this concept through to other focal areas of the showroom we have created a grid similar to the piece we produced for our catalogue photoshoot, which will be revealed when the new catalogue is released this August! 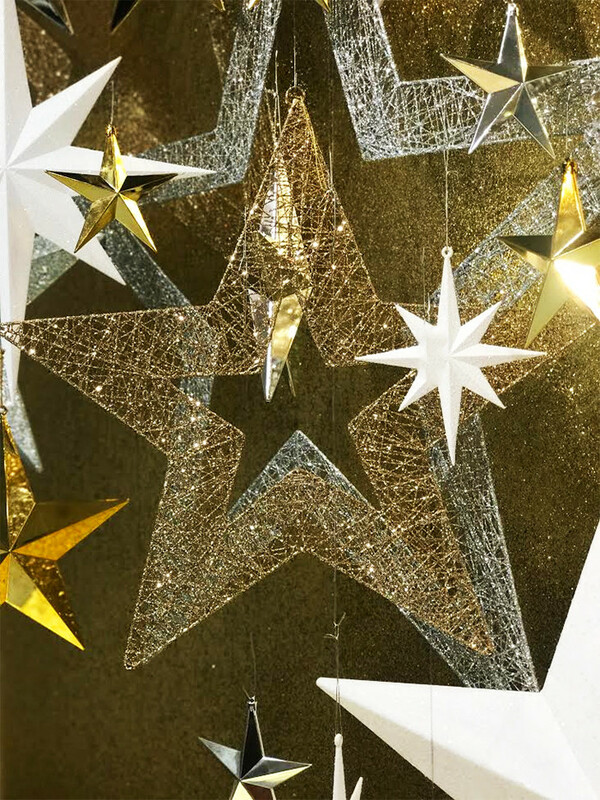 This further extends into the escalator with black and silver stargem and gold and Silver star garlands. 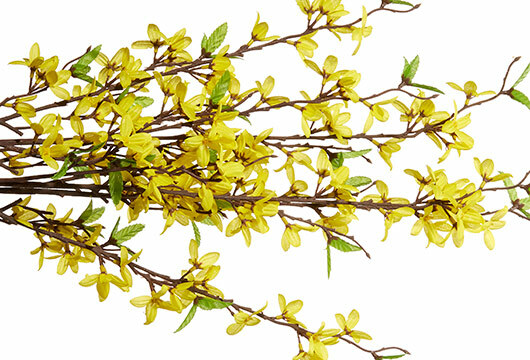 So there you have it, 3 ways to get you started on your magical Christmas displays.